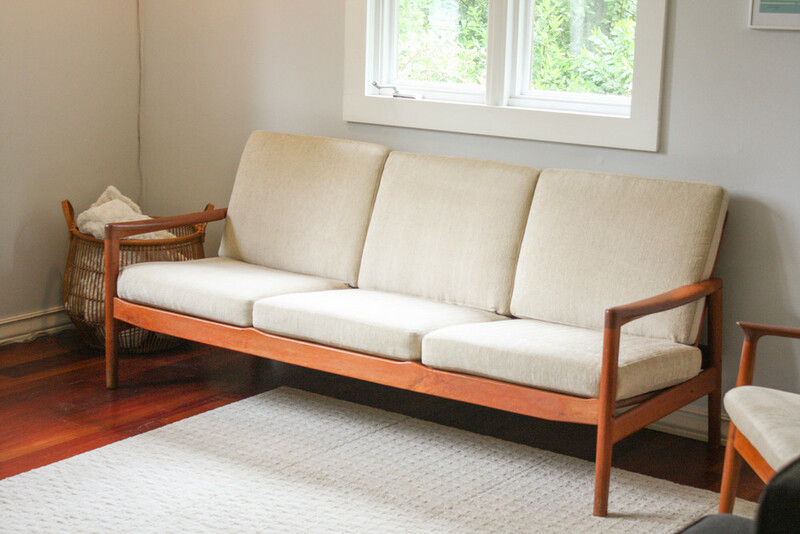 This mid-century Danish Teak sofa comortably seats three people. The frame is made from solid teak and it features a natural-colored fabric upholstery. The sofa is in a very good vintage condition with very few signs of wear. The fabric upholstery is secured with zips and can be taken off to be cleaned. The spring supports are in excellent condition and need not be replaced.